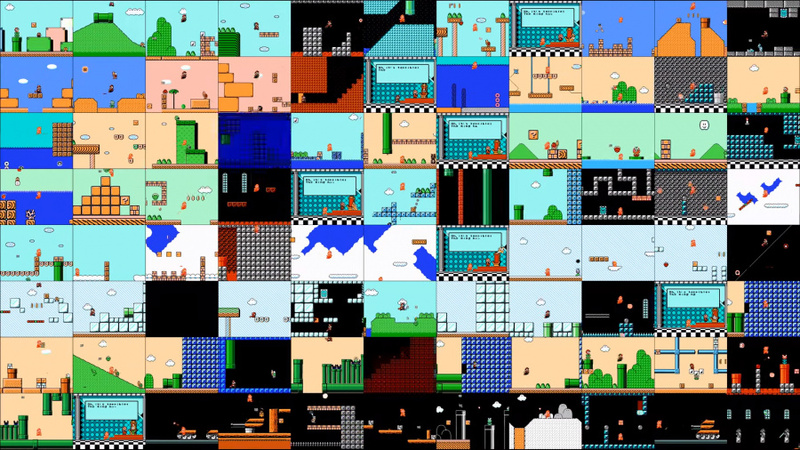 One of the biggest selling points of Super Mario Bros. 3 when it originally launched was its sheer size; compared to other platformers of the period, this was a seriously epic experience with a multitude of stages to discover - many of which required multiple playthroughs to find. YouTuber Viktor Bohush has decided to show off the magnificence of these levels by presenting all of them at the same time in this unique video. The only concession is that levels Hands 1, Hands 2 and Hands 3 from World 8 have been "merged to better fill the grid", according to the creator. While the combined audio track gives us a headache, the actual footage is pretty amazing - we had fun spotting our favourite levels in amongst the footage, and couldn't resist firing up the 3DS Virtual Console version immediately afterwards. Let us know what you think by posting a comment below. Slightly bewildering to the eyes. Made my headache worse. Fair play to the creator though. So many levels are soooo quick! Damn, I thought they were played at the same time, not displayed. 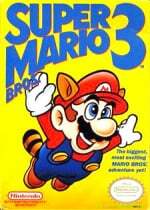 Cool, I'm currently replaying Super Mario Bros. 3 on the Wii U Virtual Console... harder than I remember! Still fun though! @LemonSlice yeah I was pretty disappointed. I like how the autoscrolling levels are keeping the vid from being very quick. Amidst the unholy noise, the Athletic theme stood out for me for most of the video. Wow whoever is playing is CRUSHING it. What was that trick he used during the boss fights?! Yeah that final boss fight in the bottom right corner was insane? What did he do? @Moshugan Makes the lack of check points more forgivable. He must have been speedrunning it. @Salnax The stage lengths never bothered me at all. I think it's a near perfect game! @Nicolai Those were done as Tool Assisted Speedruns. No checkpoints means shorter levels. (Which also explains why so many Super Mario Maker players created almost-exclusively SMB3 stages before the checkpoint update.) However, I'm positive very few people could complete them this quickly: 2 minutes and 44 seconds is an impressive time even for the average-length levels. Mad props to the player. Also, check out the "all couch gags at once" Simpsons fan vid. It does the same, except with... well... the couch gags. Too bad he was speedrunning all of the levels with exception of the autoscrolling boss stages, but still a nice accomplishment. Rewatched the 4K Youtube stream on my computer, was pretty impressive. How cacophonous. Watching this sounded like being at a really busy casino.